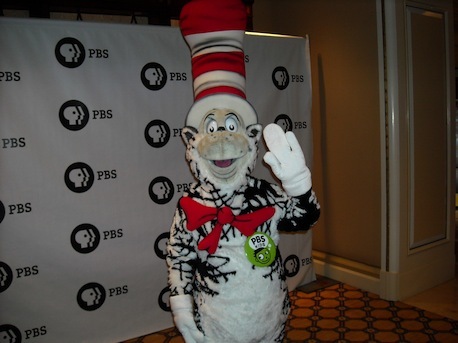 Your friendly content provider is newly returned from the annual winter Television Critics Association "press tour." And all you get again are some of these lousy pictures I took. Actually, some of them aren't too bad. And given all the restrictions at hand, you have to pick your allotted spots before taking a shot. Here we go. Courteney Cox was sorta ready for her closeup at Cougar Town party. 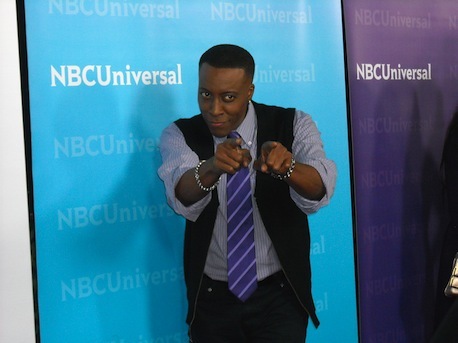 Arsenio Hall makes the best of being on The Celebrity Apprentice. Chelsea Handler hangs tough without her trademark vodka. James Van Der Beek plays himself, with Krysten Ritter as "The B" in the ABC spring sitcom Don't Trust the B -- in Apartment 23. 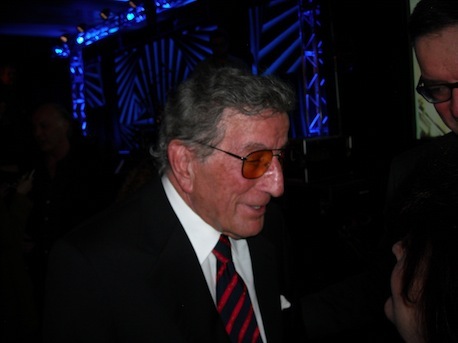 Presenting the great Tony Bennett after his performance for PBS. Churros were served on behalf of the new CBS sitcom Rob. Don't know who this is. Didn't think you'd care. Enjoy. 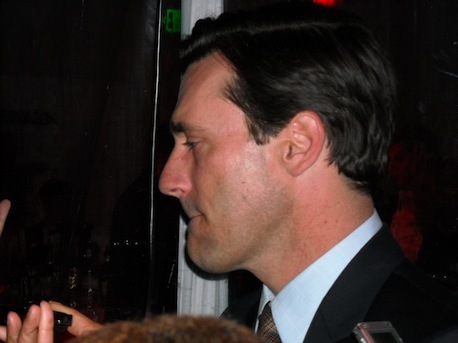 Zeroing in on Mad Men leading man Jon Hamm. 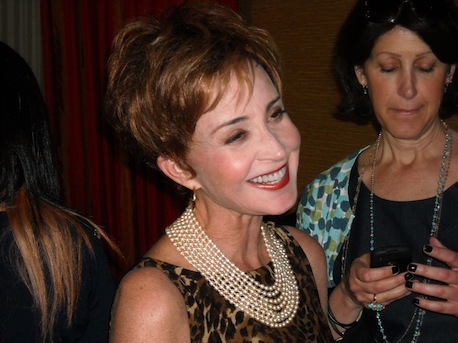 It's good time Annie Potts of ABC's Dallas-set GCB. 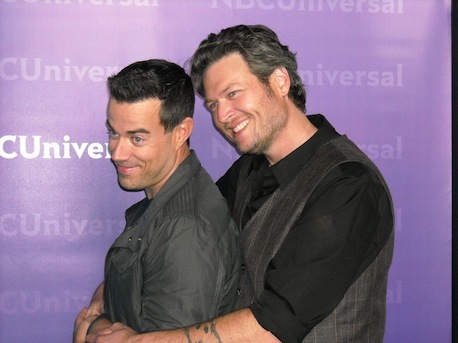 The Voice judge Blake Shelton hearts host Carson Daly. 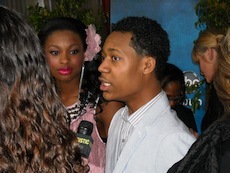 All grown up: Tina Yothers from Family Ties and Tyler James Williams of Everybody Hates Chris. OMG, that's her!!! Yep. 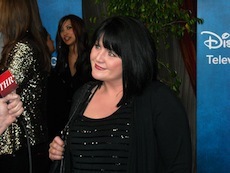 When Harry met Lisa -- on the NBC Universal red carpet. 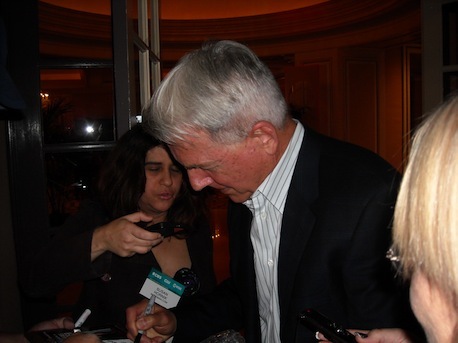 Mark Harmon finds there's no harm in signing an autograph. Laura Prepon segues from That '70s Show to Chelsea title role. Thanks for looking. You've been a lovely audience. Buh-bye now.